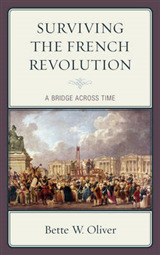 The fall of the Bastille on July 14, 1789 has become the commemorative symbol of the French Revolution. 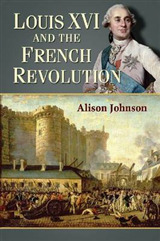 But this violent and random act was unrepresentative of the real work of the early revolution, which was taking place ten miles west of Paris, in Versailles. There, the nobles, clergy and commoners of France had just declared themselves a republic, toppling a rotten system of aristocratic privilege and altering the course of history forever. The Revolution was led not by angry mobs, but by the best and brightest of France's growing bourgeoisie: young, educated, ambitious. Their aim was not to destroy, but to build a better state. 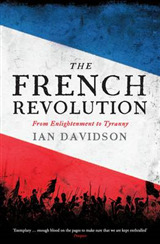 In just three months they drew up a Declaration of the Rights of Man, which was to become the archetype of all subsequent Declarations worldwide, and they instituted a system of locally elected administration for France which still survives today. They were determined to create an entirely new system of government, based on rights, equality and the rule of law. In the first three years of the Revolution they went a long way toward doing so. 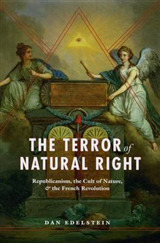 Then came Robespierre, the Terror and unspeakable acts of barbarism. 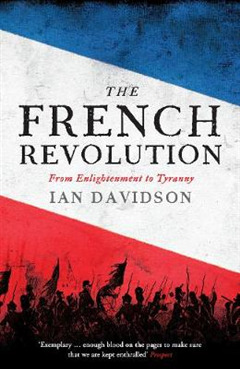 In a clear, dispassionate and fast-moving narrative, Ian Davidson shows how and why the Revolutionaries, in just five years, spiralled from the best of the Enlightenment to tyranny and the Terror. 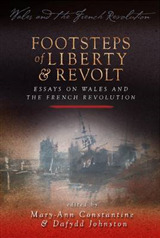 The book reminds us that the Revolution was both an inspiration of the finest principles of a new democracy and an awful warning of what can happen when idealism goes wrong.